Noah S. Hurwitz is a Member in the Labor & Employment Litigation Group in Dykema's Ann Arbor office and regularly manages complex disputes in an array of practice areas. Mr. Hurwitz represents clients in state and federal courts throughout Michigan and has successfully argued appeals before the Michigan Court of Appeals and the United States Court of Appeals for the Sixth Circuit. Mr. Hurwitz also acts as outside general counsel to companies and advises on a wide range of corporate and employment law issues. In addition, Mr. Hurwitz has significant experience with product liability law and tort litigation. Mr. Hurwitz has successfully defended clients against claims involving discrimination, whistleblowing, restrictive covenants, breach of contract, misappropriation of trade secrets, trademark infringement and various statutory violations. He also counsels clients on employment agreements, collective bargaining, risk management, commission and overtime pay, handbook policies and employee benefits. Mr. Hurwitz is also experienced in managing complex e-discovery projects and is a member of the Firm's e-Discovery Group. Mr. Hurwitz currently serves on the State Bar of Michigan’s Character and Fitness Committee, the Ann Arbor/Ypsilanti Regional Chamber’s Public Policy Committee and is Co-Chair of the Washtenaw County Bar Association’s Labor and Employment Section. Mr. Hurwitz is also a mediator of commercial and employment law cases for the Washtenaw County Case Evaluation Program. Prior to joining Dykema, Mr. Hurwitz served judicial internships with the United States District Courts in the Northern District of Illinois and the Eastern District of Louisiana. 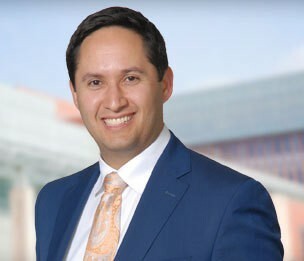 He is recognized in Michigan Super Lawyers® as a Rising Star for Business Litigation, Employment & Labor, and Civil Litigation Defense.